Customs again in the center of the scandal ... but from the wrong side. People in epaulets accuse officials of corruption, and an elite construction site is accused of illegally obtaining a building permit. With such an appeal, the Vladivostok branch of the Russian Customs Academy appealed to the prosecutor's office and the governor of Primorsky Krai, DEITA.RU became known. Construction began last fall a few meters from the training building of the Customs Academy - two 24-storey buildings with underground parking, Region Stroy LLC began building on Strelkovaya, 16в. The fact that the construction is in “inadmissible proximity” to the educational buildings of the PTA and interferes with learning is another half the trouble, the fact that customs officials are worrying about the foundation of their academic building is also. The management of the Vladivostok branch of the Customs Academy suspects that the building permit was issued illegally. The applicants stated their arguments in the appeal to the prosecutor's office of the Primorsky Territory (the document is available to the editors). However, on the land plot located opposite the building of the educational and administrative building of the Vladivostok branch of the Russian Customs Academy, there are no unfinished projects, the applicants believe. According to the PTA staff, trees have been growing on this site for many years, and construction work has never been done. 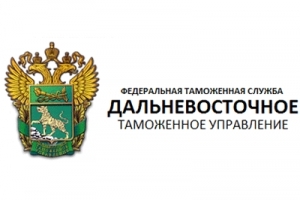 In this regard, the Vladivostok branch of the PTA asks the prosecutor's office to check the legality of the lease agreement and to verify the presence of a corruption component in the actions of the officials who leased the land plot. 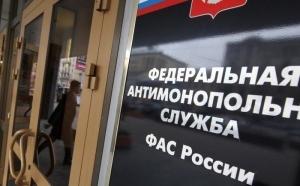 Appeals were also sent to the administration of Primorsky Krai, the administration of Vladivostok, the transport prosecutor's office, the Federal Service for Supervision of Consumer Rights Protection and other supervisory and regulatory authorities (copies of the letters are available to the editors). However, verbose correspondence with officials has not yielded any results. The past administration of the city of Vladivostok, which issued the construction permit in April of 2018, insists that all the “documents are checked for compliance with the current legislation” and the section holds “Completion of construction of unfinished construction projects in multi-storey car parks along Strelkovaya Street 18 by reconstructing them. 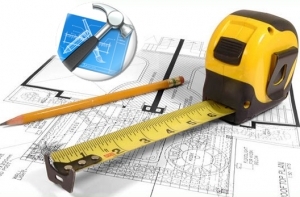 ” Additionally emphasizing that the contractor did not issue permits for the demolition of green spaces. The information about the violation of the anti-monopoly department passed the North-West Transport Prosecutor's Office. A case has been filed against the Baltic Customs. This was reported by the Petersburg OFAS Russia. The information about the violation of the anti-monopoly department passed the North-West Transport Prosecutor's Office. “Customs, without competitive procedures, concluded gratuitous contracts for the right to provide warehousing services for the storage of seized documents and goods from Valro LLC, Partner LLC and A Plus LLC,” stressed in the FAS. The goods confiscated by customs were stored in the warehouses of these companies. To return their property owners must pay for its storage. At the same time, the storage period is not indicated, and the storage prices set by these organizations significantly exceed the prices for similar services provided by other business entities. Thus, in joint actions of customs and Valro LLC, Partner LLC, and A Plus LLC, there are violations of the law on protection of competition. The first meeting on this case will take place on April 16. Purereshki and pap for the little ones may disappear from the shelves of stores in Russia. All because of the fact that soon will come into force the new rules for the importation of baby food, for which manufacturers do not have time to prepare. However, the Ministry of Agriculture claims that at the same time a fake will leave the market. The shortage of which products should be expected and for whom it will hit harder - in the “360” material. On the eve of the Customs Union Commission submitted proposals to tighten control over the transportation of food across the border. The document passed the first stage of discussion and can be adopted on April 11. According to him, veterinary certificates and import permits will need to be issued for certain groups of goods, and manufacturers must be included in the register of enterprises of third countries. In particular, the new rules on carriage relate to imported products in which animal fat is replaced by vegetable. This category includes baby food, diet products and a number of dietary supplements. The initiative has already been welcomed by the Ministry of Agriculture. Such rules will save the Russian market from the dominance of counterfeit products, told the "Kommersant" in the department. "The measure will be implemented in the framework of electronic veterinary certification and will not affect the bona fide suppliers," representatives of the ministry promised. However, the largest manufacturers of baby food have a different opinion. As “360” was told in Danone Russia, due to the new transportation rules, some types of baby porridge and mashed potatoes may disappear from the shelves. According to the estimates of the holding, now in the country the share of imports in this segment reaches 90%, which will inevitably lead to a shortage of products on the market. "The decision may lead to disruption of product supply, primarily due to the fact that the market was given only a month to prepare for it - until April 11, and the conditions for meeting the new requirements are not clarified," the manufacturer stresses. According to the current document, the measures will be as tough as possible: European manufacturers of products must begin to issue veterinary certificates for deliveries, enter the official list of importers of the EAEU, their plants must be tested by the Russian regulatory authorities, it is necessary to issue an import permit. “According to the experience of market participants, such procedures take more than one year. However, importers are still not aware of exactly what requirements will be imposed at all when importing goods starting April 11. Preliminary consultations with customs experts show that there is no single interpretation of the new situation, ”warn the press service of Danone. At the same time, import restrictions apply not only to the products themselves, but also to the ingredients for the production of infant formula in Russia: vitamin-mineral complexes, ingredients containing casein, lactalbumin, highly concentrated whey protein, chemically pure lactose, and other substances, says Danone. As a result, if the new rules come into force, then children and adolescents with special nutritional needs will suffer first of all, market participants interviewed by 360 will explain. This will affect the segment of specialized products for children with certain diseases or complex health conditions: severe allergies, metabolic disorders, prematurity. 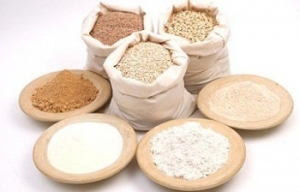 The list includes special products, adapted mixtures, you will find them more often in pharmacies than in stores, since they are part of the treatment of these diseases, are prescribed for medical reasons. “And for children under one year old they can be the only source of food. Nevertheless, now in Russia about 5-7% of the total volume of sold infant formula is counterfeit. Therefore, we must act very carefully here, ”said State Duma Deputy Alexei Kurinniy in a conversation with 360. Dr. Isabella Stefanova, Doctor of Technical Sciences, and the chief researcher of the technology laboratory of children's and special products, is in solidarity with the deputy. 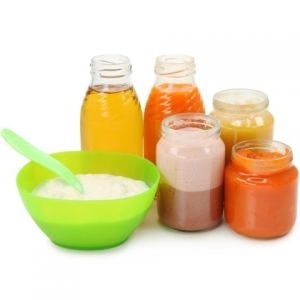 According to her, domestically produced baby food products are really lacking in the market. “Producers prefer not to invest in this segment due to its low profitability. Even with the current situation on the shelves there is a shortage of baby food, which is produced, for example, from poultry meat. If the import is removed, the situation will become worse, ”predicts the interlocutor of“ 360 ”. At the same time, to prevent the inevitable shortage, the business has already voiced its options. Danone proposes to exclude from the list of products products containing less than 50% animal fat, and to establish a transitional period of at least 2,5 year. Starting from 1 July 2019, the Buryat and Chita customs, currently part of the Siberian Customs Administration, will be reassigned to the Far Eastern Customs Administration (FEST) without changing their location, number of staff and regions of activity (Federal Customs Service Decree 17 of December 2018, No. 2047 ). 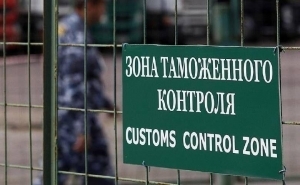 According to the press service of the Far Eastern Customs Administration, the total number of customs subordinates to the DVTU will be 12, and the number of Far Eastern customs officers will increase by 1334 full-time units (Buryat customs - 448, Chita customs - 886). 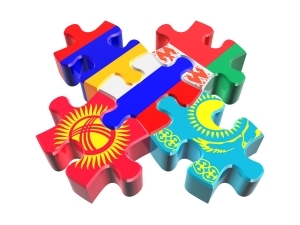 In addition, customs posts operating in the region of activity of the Far-Eastern Technical University will be increased by 17 (Buryat customs - 5, Chita customs - 12). The Buryat and Chita customs will become part of the DVTU as a result of joining the Far Eastern Federal District of the Republic of Buryatia and the Trans-Baikal Territory in accordance with the Decree of the President of the Russian Federation on 03.11.2018 No. 632. Denis Afonin, head of the Central Customs Department for Combating Economic Crimes, received 350 thousand rubles for refusing to conduct an inspection. This is written by the media, noting that the anti-corruption arrested by the FSB. In addition, it is known that 3 mobile phones were searched in his office. 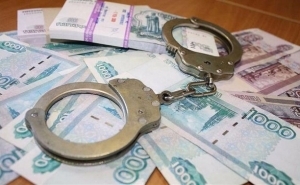 According to preliminary data, Afonin last spring received a bribe in 347 thousand rubles from one of the commercial organizations importing goods. Against the company began administrative proceedings and imposed a fine. According to the investigation, for a bribe, Afonin promised to reduce the sanctions imposed on the company and stop checking. A criminal case under article of the Criminal Code "Taking bribes". Now the issue of imprisonment of the head of the department is being resolved. According to unconfirmed reports, the investigators intend to ask the court to arrest Afonin. 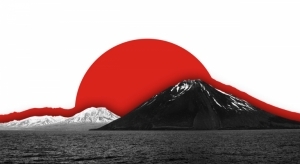 While Tokyo is trading with Moscow on the Kuril Islands, Japanese business began trading duty-free with Europeans in the largest free trade area on the planet. Whether Prime Minister Shinzo Abe will be the Japanese politician who will solve the Kuril Islands problem with Russia is not known. But he has already become the leader who provided his country with free access to the European market: February 1 entered into force on the creation of the world's largest free trade zone. 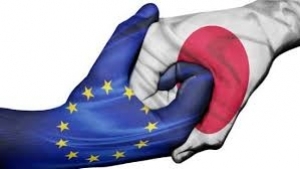 The European Union and Japan, which together provide about one-third of global GDP, signed it in July 2018. From now on, Japanese companies can export their products to the (for the present) 28 EU countries, the most powerful economic union in the world, in which about 446 millions of consumers will be living after the UK release. For European exporters, in turn, the third largest economy of the planet with a population of about 127 million opens up in full. To this end, Brussels and Tokyo have been going for six years. At the same time, the EU tried to create an even larger free trade zone with the United States - the Transatlantic Trade and Investment Partnership (TTIP), but nothing came of it. In turn, Japan entered into the Trans-Pacific Partnership (TPP), but the United States immediately withdrew from Donald Trump's White House. Thus, neither the Europeans nor the Japanese could find a common language in this area with the current US president, who prefers protectionism and isolationism. But they agreed with each other. So the new free trade zone is also an unequivocal signal towards Washington. And at the same time Beijing. Brussels and Tokyo have demonstrated: they are for further liberalization of world trade on a mutually beneficial basis, according to clearly defined market rules and observing strict standards for the protection of the rights of employees and consumers. In addition, for the first time, the provisions of the Paris Climate Agreement are included in international trade agreements. European exporters will feel a specific benefit very soon: every year they will save on customs duties of the order of one billion euros, said European Commission President (EU government) Jean-Claude Juncker. Moreover, in the future, industrial products from the European Union can be sold in Japan without additional certification. The new free trade zone promises significant benefits to European farmers. So, from now on, they can deliver meat, dairy products and wine to the Land of the Rising Sun free of charge. In particular, Tokyo abolished the 30-percent duty, which until now was imposed on Gouda cheese. EU Trade Commissioner Cecilia Malmström expects 180 percent growth in food supplies to Japan, which would mean an increase in export earnings of about 10 billion euros. According to the Ministry of Economy of Germany, with 1 February, since the entry into force of the agreement, the duties on 91 percent of all deliveries from the EU to Japan have been canceled. After the expiration of various transition periods, customs barriers for 99 percent of European exports to Japan will disappear. The Japanese auto industry has protected itself from the "Brekzita"
In turn, the EU on the same day ceased to impose duties on 75 percent of imports from Japan, in the future, this figure will also be brought to almost 100 percent. Thus, over the course of 7, the years will decrease and eventually the duties will disappear in the amount from 10 to 22 percent, which have so far been levied on the importation of Japanese cars into the EU. This item was for Tokyo, given the size of the Japanese auto industry, particularly important. Until now, some large manufacturers have avoided these customs barriers, supplying passenger cars to the EU domestic market from their factories in the UK. From now on, after its exit from the EU, it will be possible to deliver cars directly from Japanese enterprises. So the looming "Brexit" clearly accelerated the conclusion of the agreement. Both sides are also liberalizing access to services. In addition, Japanese companies will now be able to participate in the EU in tenders for government orders. Accordingly, European firms in Japan will receive similar rights. The EU-Japan Agreement has criticized various anti-globalization organizations, environmentalists and consumer advocates. One of the main accusations: the new free trade zone serves mainly the interests of big business, large corporations. Thus, the opponents of the agreement believe that the abolition of duties in the agricultural sector is beneficial to extremely large agro-industrial companies and will hit small farms both in Europe and in Japan. There were also concerns that the privatization of water supply enterprises would be allowed in the new free trade zone, however, the agreements reached do not apply to this area. On the whole, the creation of the EU’s free trade zone - Japan was surprisingly silent, especially if we recall how powerful opposition was caused by the TTIP talks with the United States or the much smaller European Agreement with Canada (CETA). At that time, tens of thousands of demonstrators, mostly of left-wing political orientation, took to the streets of European cities. The Federal Association of German Industry (BDI), the leading organization of German business, welcomed the entry into force of the agreement with Japan and called on the EU authorities to support similar agreements with Singapore and Vietnam. “In this way, the EU would widely open economic doors to the rapidly growing region of Southeast Asia and prove that it is able to effectively protect European investment abroad,” said BDI board member Stefan Mair. The European Parliament will consider a ready trade agreement with Singapore on February 13. The Ministry of Foreign Affairs of Japan protested to its Russian colleagues in connection with the confiscation of satellite phones by Russian customs from Japanese diplomats and journalists during their stay in the southern Kuril Islands. This incident occurred in July last year during a visit by Japanese citizens to the graves of their ancestors by former residents of the southern Kuriles, reports NHK TV and radio company. The delegation flew to Kunashir island by plane accompanied by Japanese officials and the press. After landing, Russian customs officers seized the satellite phones available from the Japanese group. The legislation of the Russian Federation prohibits the importation into the territory of the country of such equipment without a corresponding permit. On the eve of the Russian court found that the confiscation was carried out in accordance with applicable regulations. No violations were found. Japanese diplomats through the embassy in Moscow handed an official protest, saying that from the point of view of Japanese legislation, the actions of the Russian Federation are unacceptable. Official Tokyo continues to consider the South Kuril Islands its own territory, despite the results of the Second World War. On the eve, Prime Minister Shinzo Abe recalled that the position of Japan on this score has not changed. This will happen in early July. The customs administrations of Buryatia and Trans-Baikal Territory will join the Far Eastern Customs Administration (DVTU). This will happen with 1 July 2019 of the year, TASS reports today. - Buryatia and Zabaykalsky Krai are attached to the Far East, as a result of which, from July 1 of this year, Buryat and Chita customs will be included in the Far Eastern Customs Administration. The specificity of the work of these customs authorities, in general, is familiar to us, this is a land direction and an air direction. We do not see any difficulties in the implementation of the tasks we have set for ourselves, ”said Yury Ladygin, head of the DVTU. He noted that the administration of the customs border with Mongolia would be new to the ministry. Ladygin expressed confidence that the problems in this work will not arise, given the experience of the Far Eastern Customs and the fact that all employees of the two regional bodies will remain in their places. - And we are not afraid that two more customs will join us, which is about 50 thousand declarations per year, which will be declared there locally for now, and from the second half of 2020, in our electronic customs (meaning electronic customs platform in Vladivostok) . We are the only ones left responsible for the border with China. But we for ourselves decided that we should cope with this work, - Ladigin noted. In the 2018 year, the DVTU bodies transferred to the federal budget 264,8 billion rubles, which is 65 billion more than in the 2017 year. The growth is associated with an increase in the number of participants in foreign economic activity who filed declarations with the customs authorities of the Far East. New first deputy heads and deputy chief of staff of the Ussuri customs have been appointed. Personnel changes took place in the Ussuri customs in Primorye, reports RIA VladNews, citing the press service of the department. Oleg Anatolyevich Borisov, a colonel of the customs service, was appointed the first deputy head of the Ussuriysk customs. Yuri Dmitrievich Artamonov, Colonel of the Customs Service, was appointed deputy head of the Ussuri customs for personnel matters. Oleg Borisov was born in the city of Leninogorsk of the East Kazakhstan region in 1970. He has two higher education. In 1999, he graduated from the Far Eastern State University with a degree in ocean engineer. He received his second higher education in the 2005 year, having graduated from the Far Eastern State Technical University (DVPI named after V.V., Kuibyshev) with a degree in jurisprudence. Oleg Borisov began his service in the customs authorities in 1996. in Petropavlovsk-Kamchatka customs. From 2014 to 2019, he was the first deputy head of the Blagoveshchensk Customs. Over the years of service in customs, Oleg Borisov was awarded the medals "For Diligence", "For Service in Customs" III degree, "For Service in Customs" II degree, "For Service in Customs" I degree, "Excellence Customs Service "," Veteran of the Customs Service ", an honorary diploma of the SCC of Russia. Married, has two children. Yuri Artamonov was born in 1964 year in a. Novitskoye Partizansky district of Primorsky Krai. Has a higher education. In 2003, he graduated from the Novosibirsk State Academy of Water Transport with a degree in economics-manager. In 1988, Yuri Artamonov served as an inspector in the operations department of the East Nakhodka customs post, served in senior positions as head of the customs inspection department, head of the customs clearance and customs control department, deputy head of the customs post, and head of the customs station Vostochny sea port. Nakhodka customs. From 2005, he served as the head of the personnel department, the head of the civil service department and personnel of the Nakhodka customs. In 2017, he was appointed deputy head of the Blagoveshchensk customs, head of the civil service and personnel department. Over the years of service in customs, Yuri Artamonov was awarded medals "For Service in Customs" III, II and I degrees, "25 years of the Federal Customs Service", Jubilee badge "10 years of the State Customs Committee of Russia", breastplate "Veteran of the Customs Service" . Married, has two sons. The main schemes are the use of forged documents, the repeated movement of the same goods across the border and the creation of one-day firms for contracts. The Federal Customs Service (FCS) of Russia, together with Rosfinmonitoring, the Central Bank and the tax service, identified three main schemes for withdrawing money from the country abroad. About this in an interview with "Rossiyskaya Gazeta" said the head of the department of trade restrictions, currency and export control of the FCS Sergey Shklyaev. The first scheme provides for the use of false declarations, invoices and foreign trade contracts for transactions that have never been carried out in reality. 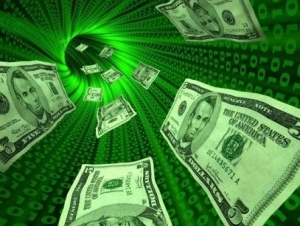 According to Shklyaev, now all data on suspicious transactions are transmitted through the Central Bank to banks via closed electronic channels, as well as to Rosfinmonitoring, which tracks currency transactions. The second scheme, revealed by the customs officers, is called the “carousel”, when the same product moves across the border more than once. “At first, a non-resident sells it to a Russian company, which then assigns the rights to it to another firm. That again takes out the purchase abroad and transfers to the original supplier. So the goods can go back and forth several times, and every time they pay money for it, ”said Shklyaev. He noted that the scheme could be found after the introduction of the customs system of risk management, inspections, evaluation and examination of goods. Customs officers also report all suspicious transactions to the Central Bank, Shklyaev stressed. The third scheme is to create one-day firms for specific contracts. “The company concludes an agreement with the supplier and transfers the advance, and then disappears. Having discovered this, we bring the participant in foreign economic activity to administrative and criminal responsibility - depending on the damage, ”said Shklyaev. According to him, over the past three years, the volume of doubtful operations in the customs sphere has decreased by 20 times, from $ 2,09 billion to $ 80,6 million. During 9 months of 2018, 36,6 billion rubles were illegally taken out of Russia, law enforcement agencies opened 354 criminal cases. For the same period in 2017, 31,5 billion rubles was withdrawn, as well as criminal cases were initiated by 232. In 2016, these figures amounted to 56,3 billion rubles. and 279 cases, respectively, in 2015 year - 46,7 billion rubles. and 220 cases respectively. Customs officers and law enforcement officers stopped a large smuggling of living crab to China for almost 36 million rubles, which was organized by a group of people in the Far East among other illegal shipments abroad, reports Far Eastern Operational Customs. "During the joint operational search activities by officers of the Far Eastern Operational Customs, Federal Security Service Directorate of Russia for the Primorsky Territory, the FSB Border Department, and verification activities by the Far Eastern Transport Prosecutor's Office, four cases of smuggling to China 51 tons of live crab totaling 35,9 million rubles were revealed" - reads the message. According to the DVOT, an organized group of individuals has been exporting crabs using companies under their control, including foreign ones. 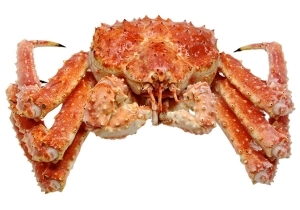 Four batches of live crab were sent to China in accordance with the signed contracts. When making seafood, offenders claimed inaccurate information about the transaction and lowered the cost of goods more than twice. It is noted that the criminal group operated on the territory of the Sakhalin region, Primorsky Territory, other regions of the Far East, and repeatedly exported valuable seafood from Russia on forged documents. The DOTA instituted four criminal cases under the article “smuggling of strategically important resources on a large scale, committed by an organized group of persons”.